"I have joined Kwara United and I will be with them until the end of the season, " the striker told Goal. 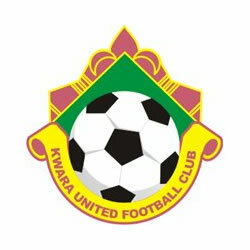 "It is my resolve to help Kwara United finish the season strongly. I did a lot of negotiation before agreeing to join Kwara United. There were several clubs that showed interest in me, but I decided to give Kwara United a chance because of the way Coach Abubakar Bala spoke to me. "He told me that I would be part of his programme and that he will be patient with me. This has given me rest of mind and I hope to hit the ground running with the club. I am happy to be with them." Coach Bala's side are currently in the fifth spot in the elite division Group A with 12 points from nine games and would hope for improvement following the addition of Omoniwari to their roster.